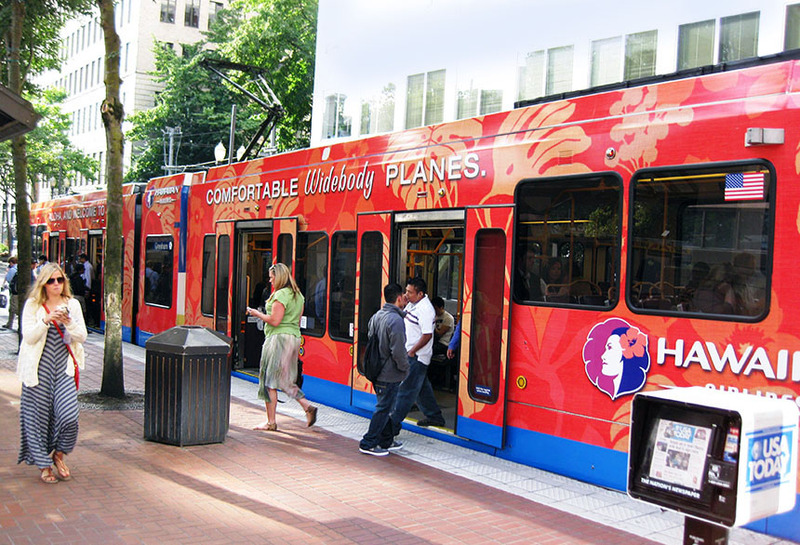 Hawaiian Airlines ran a brand marketing campaign using Lamar Transit. Their series of full wrap rail creative moved through key residential and business areas alerting customers of their luxury airline services. Consumers could not miss this bright orange creative or the brand message.